I misused the analog-type ammeter, and the fuse was blown and used for the repair. After replacing it with a new fuse, it returns to normal and is used conveniently. This review is about item#86978954. Remove the ballast of the fluorescent lamp, set the resistance, and change the cap. As the number of collected insects decreases in the summertime when LEDs are used, the number of geckos also decreases, and the walls are less likely to become dirty. This review is about item#86978893. It is stable when using products. Can be used normally including wearing. This review is about item#86978875. Since the dimensions etc are detailed in the product page, There is no worry of mispurchasing and it is very helpful. This review is about item#86978857. This review is about item#86978866. This review is about item#86978963. 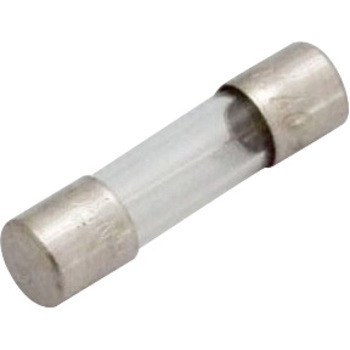 I think that it is a product that is easy to use as well as other glass tube fuses. I do not know because it is not compared with other products, but I think that there is no big difference in products. This review is about item#86978814. This review is about item#86978796. This review is about item#86978841. I always buy the same thing. I am saved because I can make it with confidence. I bought the same one last time. I bought a fuse case at the same time. It can be manufactured with peace of mind, so it will be saved. I was saved because the small size was not sold to nearby shops. I purchased it because it is not readily available at other shops. The size chart was also easy to see. I will exchange it when the fuse blows out. A glass tube fuse of 7 A can not be obtained at a general electric shop, so I will keep it. I am satisfied with the fuse of the size and capacity as expected. This review is about item#86978771. The 30 mm fuse is handled at the center center in town, but 31.8 mm is handled a little, so it was convenient to be able to purchase on the net. Tentatively the quality is not a problem at the moment. This review is about item#86978787. It can be used normally at all. This review is about item#86978884. It's a classic and easy to use. This review is about item#86978744.